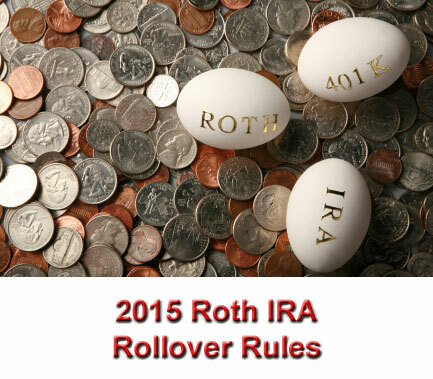 What are the 2015 Roth IRA rollover rules? If you're considering a Roth IRA rollover, you need to know. The 2015 Roth IRA rollover rules keep in place the elimination of the $100,000 adjustable gross income (AGI) limit on making a Roth IRA conversion. The rules also eliminate the prohibition on conversions for married persons filing separate tax returns. So if you've missed out on the benefits of a Roth IRA in years past because of your income or tax filing status, 2015 offers you a great opportunity. In 2015, you can perform a Traditional IRA rollover to a Roth IRA even though your AGI exceeds $100,000. For 2010 Roth IRA rollovers, the IRS provided you with the option to pay 50% of your tax bill in the first year, and 50% in the second year. If you perform a rollover in 2015, the taxes are due in 2015. The same is true for 2016 and beyond. 2015 Roth IRA rollover taxes are calculated the same as any other rollover. Your tax bracket (using pre-rollover AGI) determines your tax rate, and that tax rate is applied to all taxable portions of your rollover distribution. You owe $24,000 in taxes as a result of the rollover ($80,000 at 30%). This entire tax bill is due in 2015, so make sure you aren't misled by old rules from 2010 allowing you to pay the tax over a two year period. So remember, the 2015 Roth IRA rule changes do NOT effect the Roth IRA contribution limits. 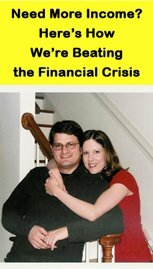 What they do effect is the $100,000 AGI limit on Roth IRA conversions. Because thanks to the 2015 Roth IRA conversion rules, you can take advantage of a backdoor approach for making Roth IRA contributions. Because your modified adjusted gross income (MAGI) exceeds $193,000. So if you're a high income earner, take advantage of the opportunities the 2015 Roth IRA rule changes offer! So now that you know the 2015 conversion rules, what are the benefits of a 2015 Roth IRA rollover? The changeover to the 2015 Roth IRA rollover rules continues a significant change in the world of retirement planning that began in January 2010. If you've previously earned too much to meet the Roth IRA eligibility requirements, 2015 offers you the opportunity to establish, and continue contributing to, your own Roth IRA.